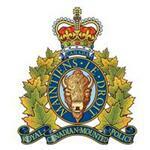 Pincher Creek RCMP - On February 13th, 2018 at approximately 4:45 pm, Pincher Creek RCMP and Pincher Creek Emergency Services responded to a pedestrian that was struck by a vehicle near the Pincher Creek Community Health Centre. A witness reported seeing a female walk onto the road and run towards a car that was travelling south on Beverley McLachlin Drive. The female was struck by the vehicle landing on the roof. The driver stated he watched the female run onto the road and towards his vehicle, reporting there was nothing he could do to avoid the collision on the ice-covered roads. Emergency Services attended and the female was transported by ambulance into the Health Centre then to Lethbridge for treatment of her injuries. Pincher Creek RCMP are trying to determine the reason the female would run towards a moving vehicle.